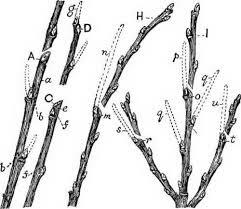 It’s February now, and in some parts of the country probably still an acceptable time to prune fruit trees. Here in the Pacific Northwest however it is a little late for pruning. I did all our fruit trees in the first week of January. 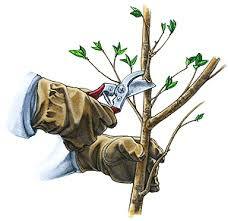 You want to try to time heavy pruning with tree’s dormancy. This way it will not effect their health or growth near as much. I was looking out side at my pruned trees, now covered in lovely buds which will this year be new growth, and it made me think a little. I had a father who was very good about explaining fruit tree pruning, and every year I was helping him outside in the bitter cold, getting first hand experience when i was growing up. I realized,however, probably not everybody grew up on a farm like i did, and probably did not have all those wonderful years of experience. How can other people learn if people like us never tell them? So, I thought I would write a blog for every one that has ever wondered how to prune fruit trees. This will be like a tree pruning 101. There are so many factors, goals, desires, tricks, and different ways of doing things for pruning that really it mostly depends on a balance of what you know and what you are wanting out of your tree. The basic first step in tree pruning is shape. How do you want your tree shaped? Most trees you will want a kind of umbrella shape, for easily obtainable sunlight for the fruit, and also for easier harvesting. If you are starting with a fairly young tree, then you can decide how tall it will be by cutting out the top at the desired height, where new growth will grow a for next year. Determine the height you desire, and the general shape, and general size (circumference), and keep that vision in your head while you prune. Next, grab your cutting tools. (shears, loppers, a pruning saw maybe) and start thinning out unwanted growth. If a branch is totally undesirable then cut it off as close to the trees trunk as you can. If most of the branch is ok, or you want to start a new growth into a branch, then you prune the branch into how you want it to grow. Keep the part you want, and cut off the extra. Now here is where it gets kind of tricky. anything unwanted gets totally cut off and removed, but if the branch lets say has potential, but no small fruit bearing areas or “spurs”, then save desired new growth from last year, cut if off about 1/2 to 3/4 inch past a bud. Picking the right bud is the trick. The key is, which ever direction a bud is pointing, that is the direction the new growth will grow this year. For example: a bud on the left of a branch pointing out, will grow to the left and out, a bud pointing up will grow up, a bud pointing down will grow downward, and so on. So just remember when you are shaping a tree, those buds that you leave for the new growth MUST be pointed in the direction that your vision of the tree requires. And as i said before, for best results and sun collection I shape my fruit trees like an umbrella. Other trees that are for shade, lumber, etc. are generally shaped in more of a triangle, where a fruit tree is more of an upside down triangle. Remember you are not wanting to grow a 50′ tall apple tree, the fruit would be 30′ above your head and serve you no good.